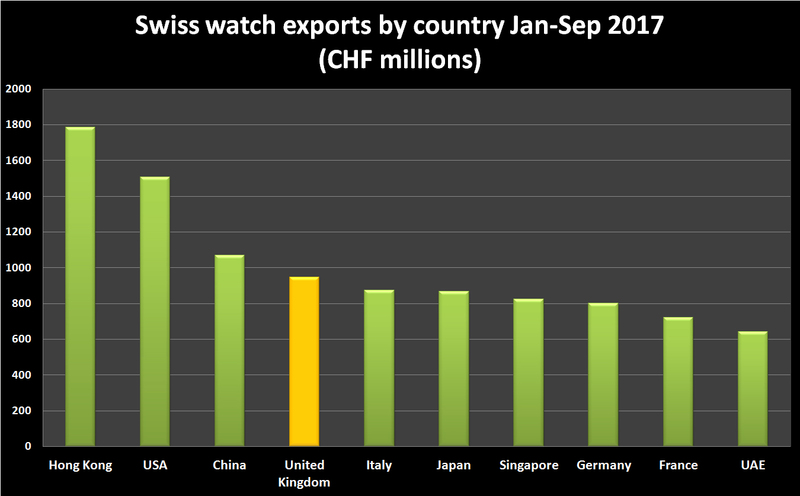 Exports of Swiss watches to the United Kingdom rose to CHF 122.2 million in September. 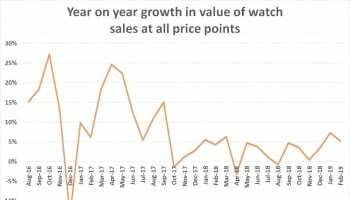 The export total was only 0.7% higher than the same month in 2016, suggesting that the post-Brexit acceleration is continuing to slow. 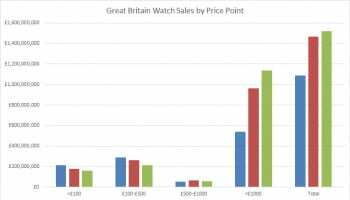 However, compared to eurozone countries, the UK is powering ahead as the continent is slowing. 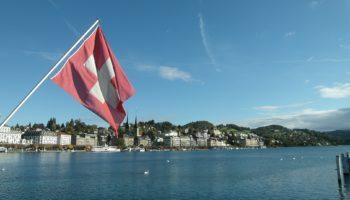 Exports in September to Italy dropped by 1.9% compared to the same month a year ago, France was down 7.9% and Germany fell by 8.1%. 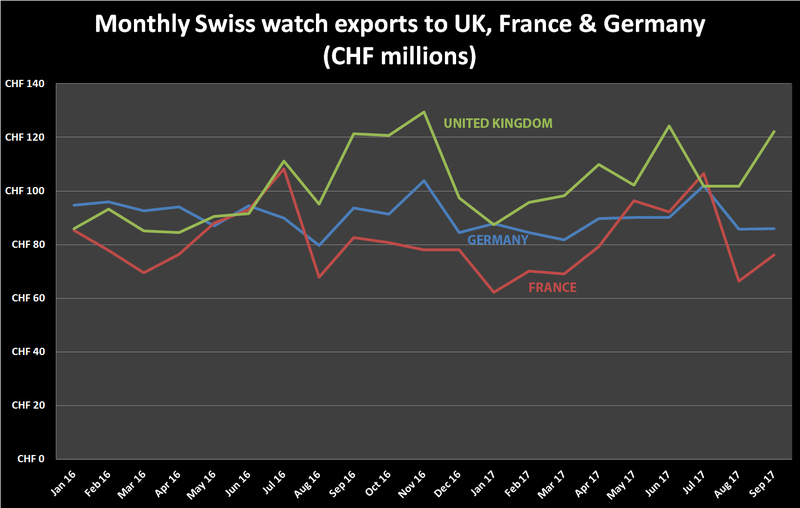 For the first nine months of 2017, the UK is the fourth largest market in the world for Swiss watches with imports worth CHF 946.8, up 10.2% over the same period in 2016. 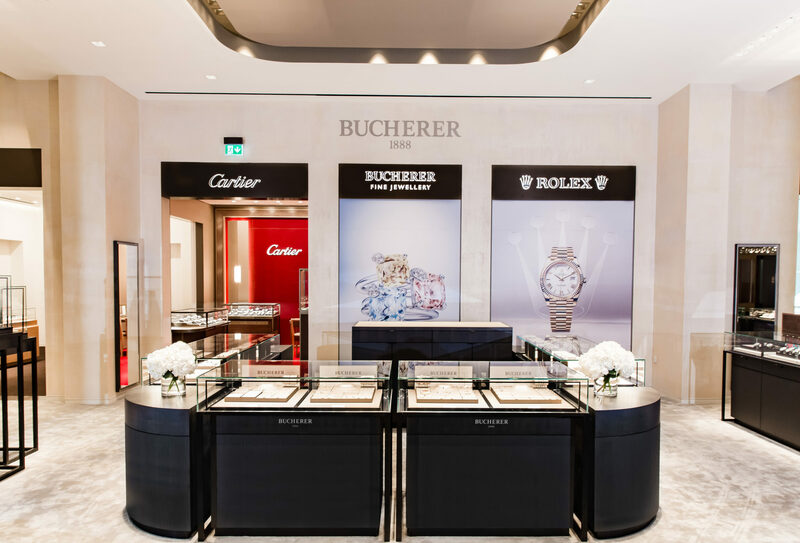 Germany, France and Italy have all seen imports drop in the January-September 2017 period compared to the first nine months of 2016. 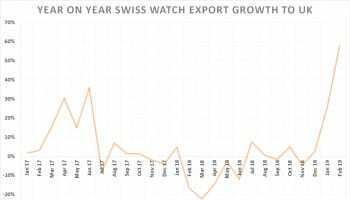 On a global basis, the Swiss watch industry maintained its recent momentum with exports rising for the sixth month in a row in September to CHF 1.8 billion francs, equivalent to 3.7% growth compared to September 2016.